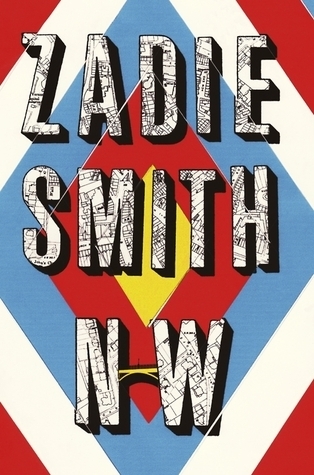 N -W , the fourth work of fiction by Zadie Smith , revolves round the urban lives of four people – Leah Hanwell , Natalie , Felix and Nathan – residing in the north west part of London . The story originates from the rather monotonous and boiled up life of Leah Hanwell , a woman fighting against the nuances of married life which seem to monstrously bog her down for reasons she is yet to decipher . That day starts like any other uneventful day of her’s until a lady by name Sher storms into her life unexpectedly with a crude story to justify her unwarranted entry . The author highlights the compassionate face of Leah when she is seen lending money to this stranger , a deed which both her husband Micheal and her mother Pauline unanimously stamp as a deed of folly . Natalie has been Leah’s best friend since childhood and still continuing to be so , though at this point of time they seem miles apart in their emotional existence in spite of the fact that they reside close to each other. Natalie on the other hand is portrayed as a happily married woman leading an elite life with her husband Frank and their two kids . Later towards the story the readers come to know that beneath the veneer of satisfaction lies an immense amount of pressure bottled up , owing to a secret which Natalie wasnt ready to unveil to her husband . But that reason alone points to the vastness of displeasure and imbalance that shadowed in her life , beneath the facade of perfect existence . The story cruises forward through the lives of Leah and Natalie , with the further pages sketching the important events in their lives since their childhood . Felix , brings to life a person , who has made up his mind to be in a committed relationship with Grace , burying deep the past characters in his life which included , Annie , a lady with a battered albeit strong willed state of mind . He is being projected as a person who, in contrast to Leah and Natalie , is seen determined to barge forward , come hell or high water , though the fate had a grueling plan in store for him instead . Nathan is a mysterious character , who is linked to Natalie and Leah , being their schoolmate and with Sher for reasons unmasked in the climax of the story . What the secret is and how the that one incident unplugs a Pandora box of the otherwise unattended emotional turmoil in Leah and Natalie’s lives forms the essence of the story. I am not yet decided on whether this was one book which offered me the satiety which i look forward to from fiction . The climax was vague and i am still stranded in the dark abyss the story pushed me into in the last page , in search of an explanation . The book is more about the intensity of each tide churning up in the whirlpool that threatens to engulf Leah and Natalie than the story itself . And i should say the author has done a commendable job in dissecting it to each droplet . The part where we are carried back to the earlier lives of Leah , Natalie and Nathan came across as remarkable and the manner by which the author played with the ordeal was refreshing to say the least . Leah’s character seemed lost halfway , with the focus being shifted onto Natalie from then on . I particularly loved Natalie’s character who presents an uncanny resemblance to many young women we see around us , independent and workaholic , but the search for a dignified life eventually consummating then from head to toe forcing them to retreat into a shell of pretense , the shell melting into their body to be a part of them . Felix’s rendezvous with Annie sticks out as one of the best scenes , beautifully crafted and absolutely gripping . The segment where they get intimate has shades of reality jutting out from the pages, although the subtle details might act repulsive to the people who adore the aesthetic delivery of romance in print . Natalie’s husband Frank is set on a unconquerable platform of perfection mattering to success , a fact which perturbs Leah , who keeps nurturing a feeling of resentment towards her husband Micheal for his inappropriate and pointless conversations when in a group. On the whole , though the story takes a backseat , the book would be a treat to those in search of literary excellence , which is sprinkled aplenty in each page of this book , the fragrance of which is sure to linger . Grab a copy for the love of literature in all its purity . Forget where the story is heading . Just imbibe whatever comes your way . Thanks for the review! I need to covet time to read so many books.